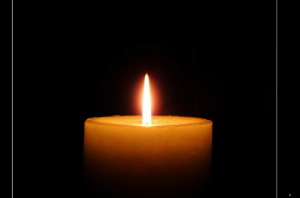 Martin Nolan, late of Cornelscourt and Marino, Dublin and Dualla, Cashel, Co. Tipperary passed away peacefully on Monday, 14th January, 2019 at Kylemore Nursing Home, Bray; sadly missed by his loving family Ken, Colin, Leah, Gavan and their mother Sheila, daughter-in-law Claire, son-in-law Donal, grandchildren Ruby, Hugo, Ella and Mannix, brothers Jerry and John Jo, sisters-in-law, brother-in-law, nieces, nephews, extended family and friends. Reposing at Colliers Funeral Home, Old Connaught Avenue, Bray on Thursday evening, 17th January, from 5.00pm to 7.00pm. Requiem Mass on Friday, 18th January, at 1.00pm in the Church of Our Lady of Perpetual Succour, Foxrock followed by cremation at Mount Jerome Crematorium, Harolds Cross, Dublin 6W. Family flowers only, please. Donations, if desired, to the Alzheimer Society of Ireland, alzheimer.ie.